Here is a very easy candle spell that you can cast on Christmas Eve to help make the festive holidays perfect. All you need is a large, good quality container candle - the type that are in a jar and have several days of burn time are ideal. Choose one in red to symbolise energy and warmth, or alternatively choose one in white to symbolise peace and reduce the chance of holiday rows. Then bring the the candle into the room that you consider the heart of your home and say: "May the light of this candle bring love, joy and hope to all who dwell here, and all who visit." You can find out more ideas for candle spells and candle magic in my book Pagan Portals - Candle Magic. Safety notes: Do not stare directly into the light of the sun and do not leave lit candles unattended. 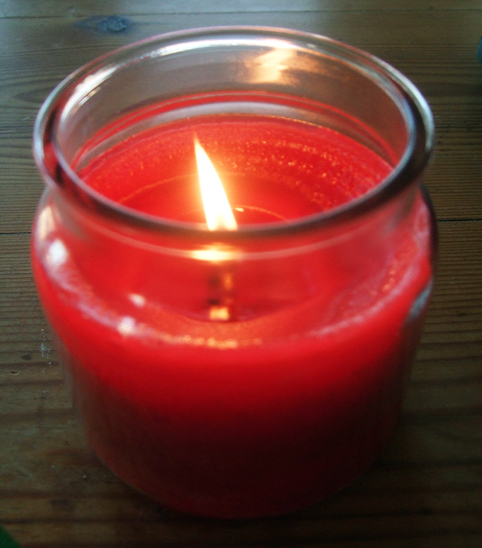 Always place candles in a safe place where they are not going to cause a fire.